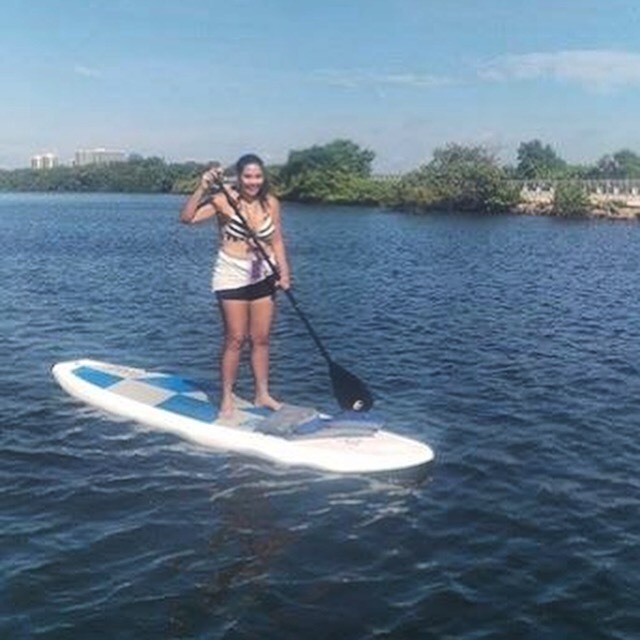 Water has never been my favorite thing… balance has never been my forte… but in my attempt to “face my fears” and try “new things” I signed up for a Paddle Boarding tour this past Saturday. One of my good friends planned this. After I complained, and gave her a hard time for making me wake up super early, and making me be in the water (two of my favorite things in the world – extreme sarcasm here) on my actual birthday, I realized this would be a great idea. Start the day trying something new and surrounded by friends. So, like I said, I signed up, paid, and there was not turning back. 6am, alarm goes off… Even though I was extremely sleepy (celebrations kept me up until 3am) I was not regretting it. I was actually really excited (and yes, a little nervous). 45 minutes later we arrived to the meeting place (planned by South Florida Paddle Inc) and we could not have asked for a more perfect day. High Tide, calm water, not too hot, it was beautiful! 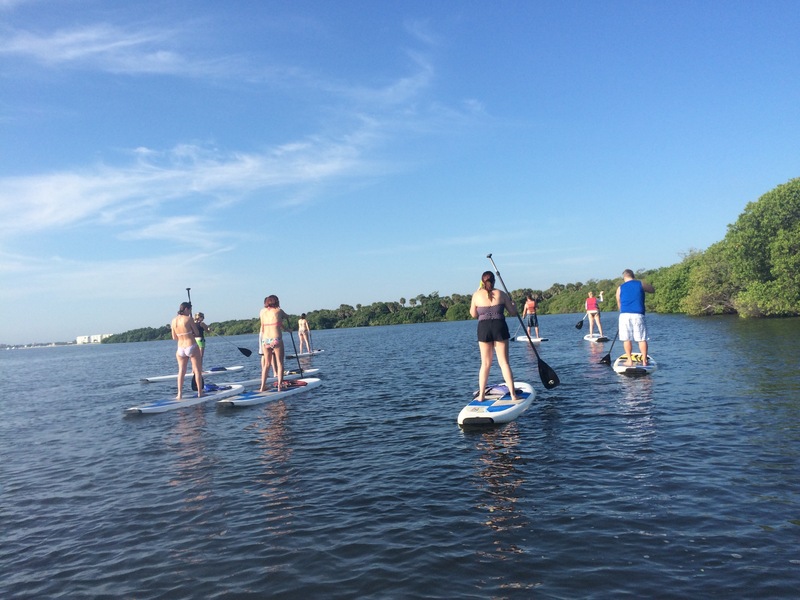 After a short talk from our tour guide we were in the water ready to head out and enjoy our paddle tour. I thought I would sit to start but being on your knees is pretty easy and comfortable. 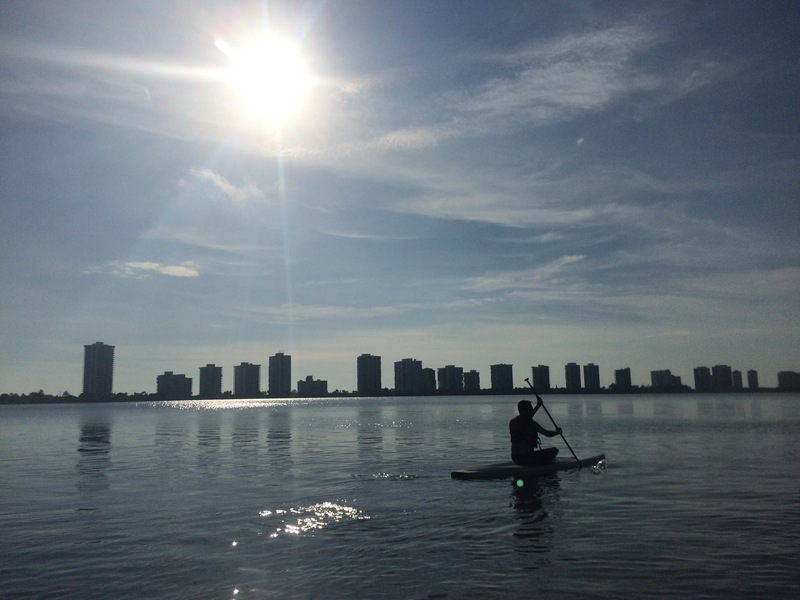 During the tour you may see dolphins, manatees, turtles, flying fish, birds… All going at your own pace and enjoying the open water, and peaceful environment. It is a small workout but it’s so relaxing being there that you hardly feel it. I would love to go again and see manatees, that would have really made my day. Eventually I stood up, which is a big accomplishment for me, and felt even more excited about having tried this. If you fall the tour guide and your friends are there to help, and you get a refreshing splash. Get back up and try again. In the end it doesn’t matter if you sit, go on your knees or stand, the whole point of this is to enjoy the view, and unplug from the “real world”. I’m happy I’m pushing myself to do more things that, in the past, I would have immediately said no to without even thinking about it. It’s made me happier, my is world bigger, get to do more things with my family and friends, and helps me build my confidence to do more. Hope you open yourself to new experiences too, and enjoy life!